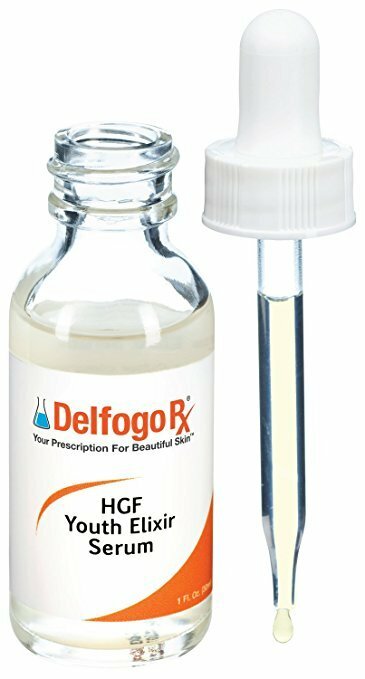 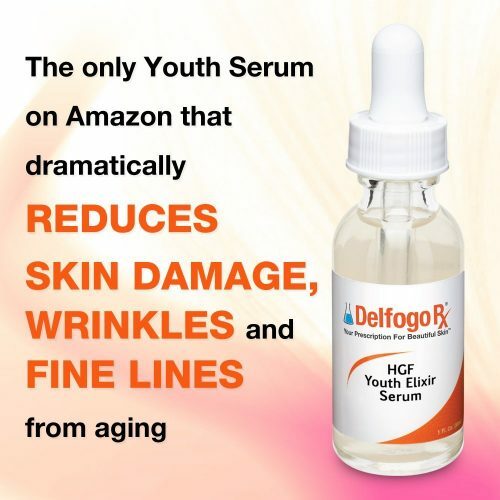 If you are wanting a more youthful appearance, starting with your skin, then the skin cell regenerating powers of the Delfogo Rx HGF Youth Elixir Serum are just what the doctor ordered. 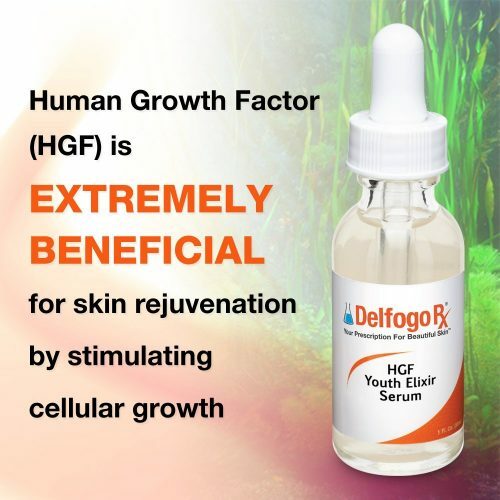 Exciting breakthroughs in the study of human growth factors (HGF) have brought our team of cosmetic pharmacists to this proprietary formula that we like to call a virtual “fountain of youth” because of its restorative effect on the skin. 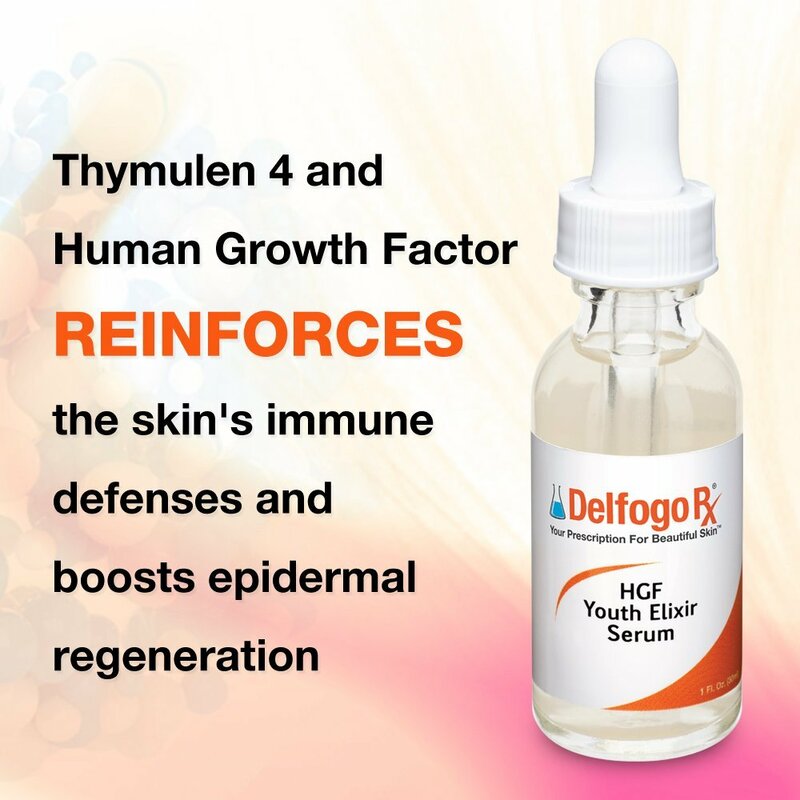 Customers of the HGF Youth Elixir Serum can expect to see many benefits with regular use. 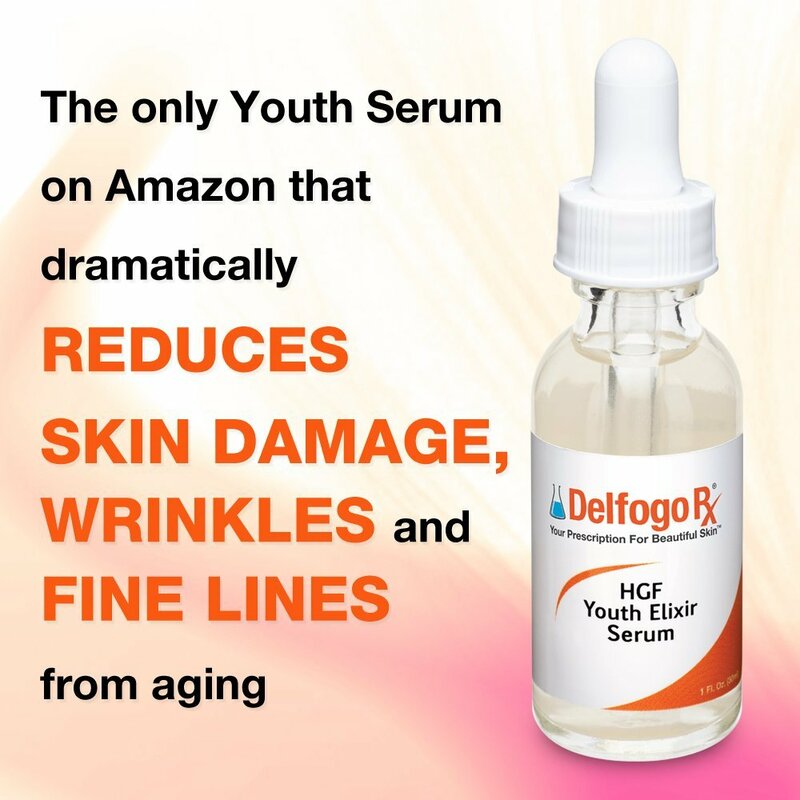 These benefits include a dramatic reduction in the appearance of wrinkles and age spots on the skin. The skin will begin to feel tighter and more elastic, leading to younger-looking skin that has a youthful glow to it. 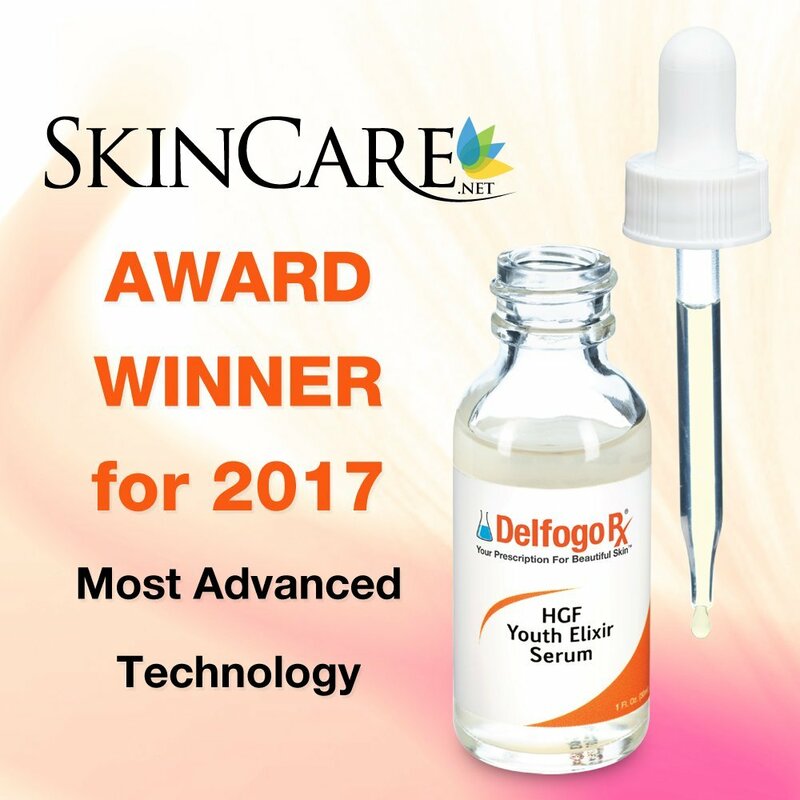 Not only will the skin look healthier, but it will feel healthier with a smooth, soft texture that hasn’t been felt in years. 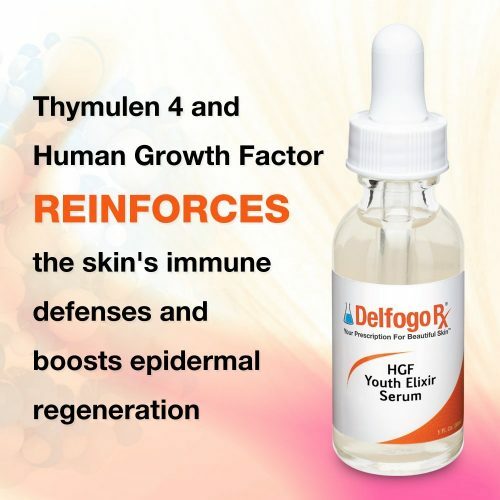 With a custom blend of ingredients made to retain moisture, boost collagen production, provide antioxidant protection, and enhance cellular repair, the HGF Youth Elixir Serum repairs aging of the skin and helps to prevent further degradation. It’s the perfect alternative to Botox injections and other dermal fillers! 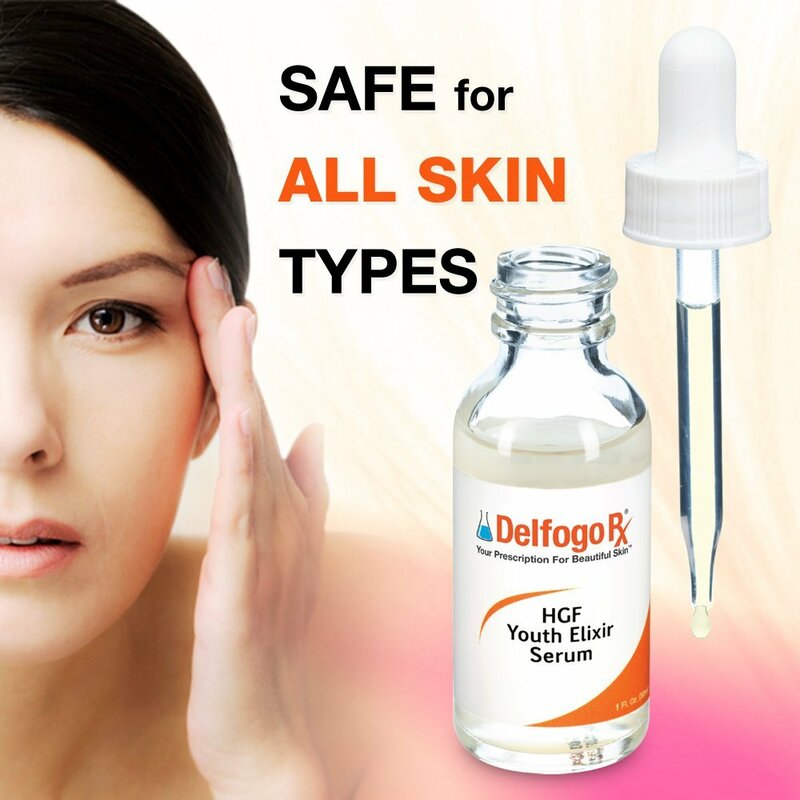 Apply to clean skin twice daily, once in the am and once in the pm, preferably after cleansing.